Today is a First Saturday, the day when Our Lady of Fatima has asked all of us to fulfill certain requests to bring peace to the world. In this newsletter, I would like to show how the association of Saturday with Our Lady is intimately bound up with the sacred history of Genesis. In the liturgical life of the Latin Church, Our Lady has long been intimately linked to Saturday; but this linkage goes back to the very beginning of the universal Church. The Fathers and Doctors, East and West, saw in the beauty and perfection of the first created world a foreshadowing of the beauty and perfection of the Blessed Virgin Mary. Thus, the perfection of the first Saturday of the world found its fulfillment in the perfection of the Immaculate Conception. [O]n the seventh day God desisted not from toil or work, for He still worked, but from the creation of new forms because He had done all things either in likeness, as in the case with those things which are propagated, or in a seminal reason, as is the case with those things which are brought into existence in other ways. when his creating brought them to be. designed and perfected by God with a special joy. Mother who was ever a Virgin. A second link between Saturday and Our Lady connects the Sabbath “rest” of Our Lord in the tomb on Holy (or “Great”) Saturday with the sorrows of the Mother of God on that day. 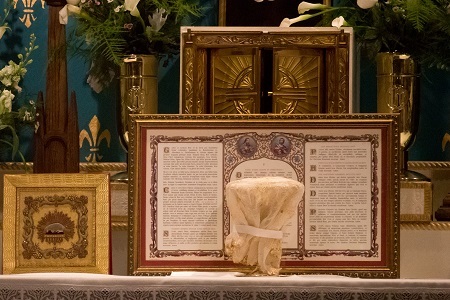 From this linkage flowed a variety of liturgical practices on Saturday in honor of Our Lady, culminating in the message of Fatima and a request by Our Lord for First Saturday devotions in reparation for sins committed against His Mother’s Immaculate Heart. I promise to assist at the hour of death, with the graces necessary for salvation, all those who, on the first Saturday of five consecutive months, shall confess, receive Holy Communion, recite five decades of the Rosary, and keep me company for fifteen minutes while meditating on the fifteen mysteries of the Rosary, with the intention of making reparation to me. The more souls believe in Mary’s supernatural maternity and universal advocacy for souls, the more they will join in confidently invoking her intercession not only for their fellow Catholics, but for all souls, past, present, and future—without any limits. Imagine the effect if millions of Catholics prayed confidently for poor sinners in this way! It is this kind of boundless faith that will bring the entire Mystical Body of Christ to its ultimate fulfillment. 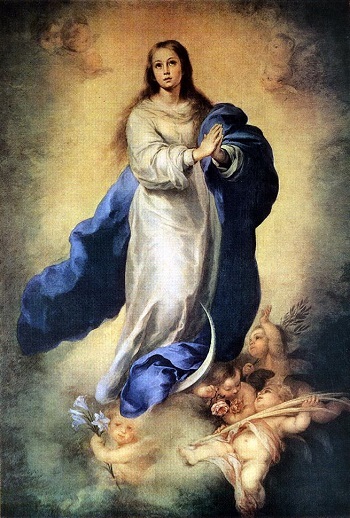 In the Mystical Body of Christ, the sanctity of Our Lady reveals the fullness to which all Christians are called—a fullness which was first revealed in the humanity of Jesus Christ and which will be achieved by the whole Church when her members attain what St. Paul calls, “the measure of the stature of the fullness of Christ” (Ephesians 4:13). 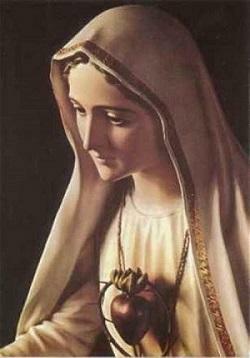 Thus, the commemoration of the first Saturday of the month in honor of the Immaculate Heart of Mary is a reminder of the forgotten meaning of the Sabbath rest of Creation and a foretaste of the future rest of the Lord in His saints during the coming “era of peace” promised by Our Lady of Fatima. P.S. Fr. Paul Robinson of the FSSPX has criticized the Kolbe Center in a recent posting on his website. We will post our reply to Fr. Robinson on our website in the near future. In the meantime, we are offering a 575-page critique of Fr. Robinson’s recent book The Realist Guide by Robert Sungenis on the Kolbe web store as an e-book, and we encourage our readers to obtain and carefully read Robert’s thorough critique of Fr. Robinson’s progressive creationist account of the origins of man and the universe. St. Bonaventure, Breviloquium, “The Creation of the World,” Chapter Two, Part I (St. Louis: B. Herder Book Company, 1947) p. 51.